This case is designed to hold 2 JBL VRX 932LAP speaker cabinets. 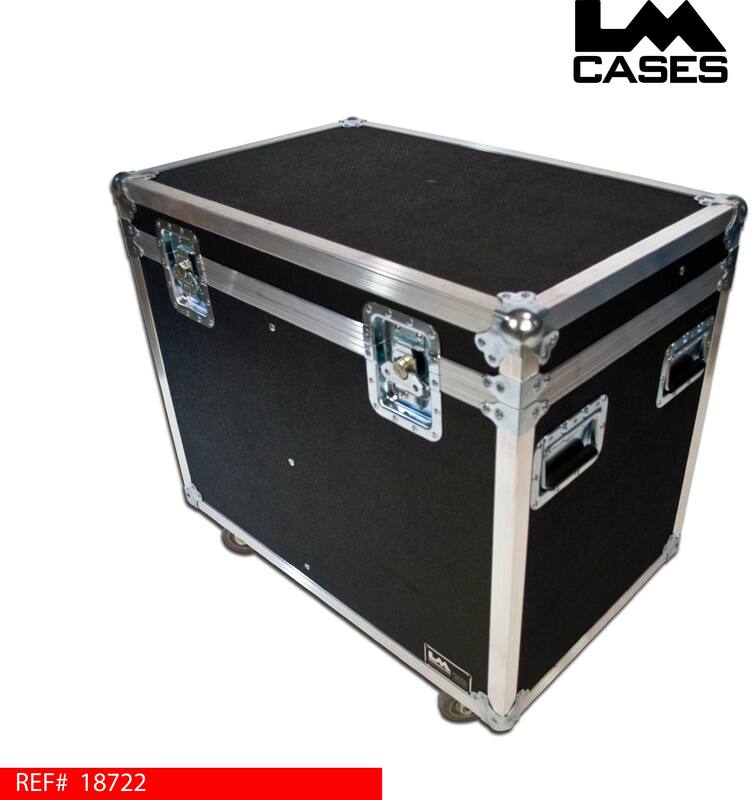 The cabinets ride on their sides in a 1" PE foam lined case that features a divider to keep the speakers separated. 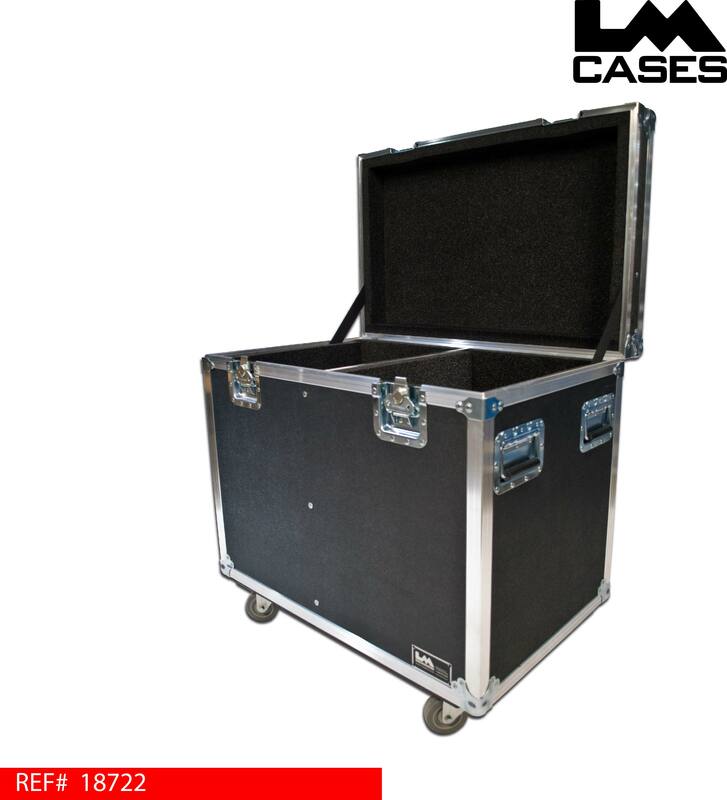 The exterior case is built out of 3/8" plywood and features 3.5" Colson casters.